Soft Facial Tanning Lamps Spaghetti lamps are popular for use in facial tanning applications where higher intensity is preferred. 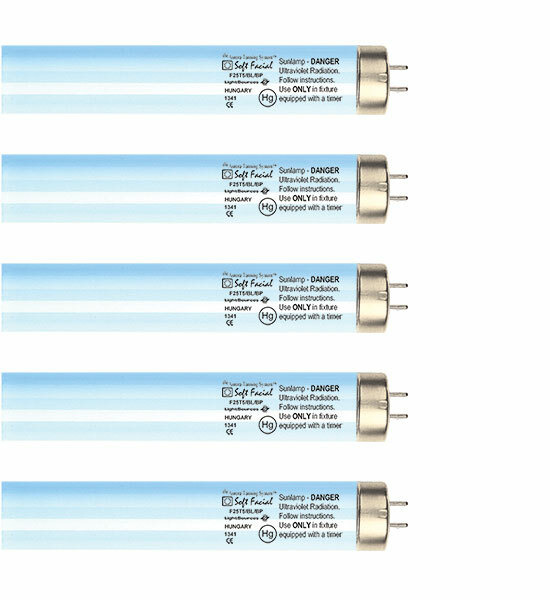 These T5 & T8 lamps are used in many applications for added intensity in the face, neck and/or shoulder area. Faster tanning response is available in your choice of standard and reflector versions.